Dubai-based flydubai’s inaugural flight to Nejran landed yesterday, and was greeted by a traditional water cannon salute. The flight marks the start of the first direct link between the region and Dubai. Receiving the aircraft were senior officials from the Nejran Governor’s office, the General Authority for Tourism and Antiquities, Nejran’s Immigration department, the Saudi Arabia General Authority of Civil Aviation, and the Nejran Chamber of Commerce. 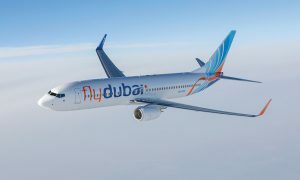 flydubai’s delegation was led by Hamad Obaidalla, the airline’s Chief Commercial Officer, Sudhir Sreedharan, Senior Vice President Commercial for GCC, Subcontinent and Africa, and Alex Mackenzie, Senior Vice President of Airport Services. Passengers from Nejran, one of Saudi Arabia’s most culturally and historically diversified centres will now be able to travel directly to Dubai while UAE residents will have the opportunity to explore a region rich in local historical heritage and traditions and is famed for its environmental diversity. 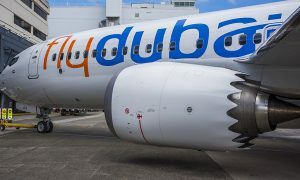 “The launch and growth of flydubai has been significant in helping Dubai to achieve its year-on-year growth when it comes to visitor figures. 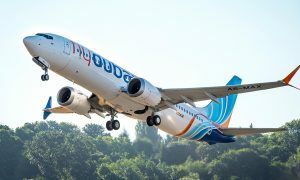 We are delighted that flydubai has launched this new route, connecting Dubai to Nejren city directly for the first time. Saudi Arabia is consistently our top source market for visitors to Dubai and one that remains a key focus for us – this new route makes it even easier for both business and leisure travellers from Saudi Arabia to reach the emirate,” said Issam Kazim, Chief Executive Officer of the Dubai Corporation for Tourism and Commerce Marketing. 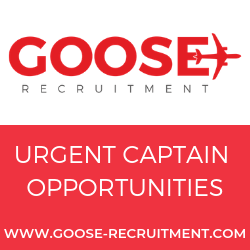 “The new route will not only bring friends and families in the UAE and Saudi Arabia closer, but open new opportunities for business and leisure travellers. We are excited about welcoming the people of the Nejran region on board flydubai”, added Obaidalla.